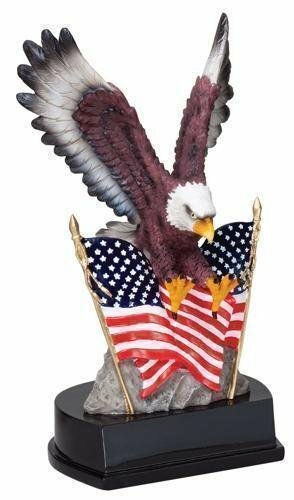 Our Patriotic award collection has a wide array of products showing patriotism. 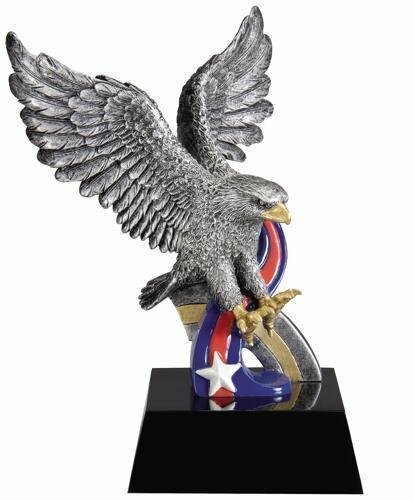 The American Flag, Stars and Eagles are included in this collection of patriotic awards. 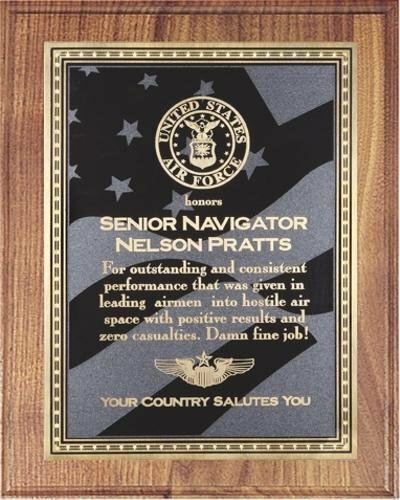 Check out our patriotic trophies and patriotic plaques. FREE Shipping on orders over $100. FREE Engraving. 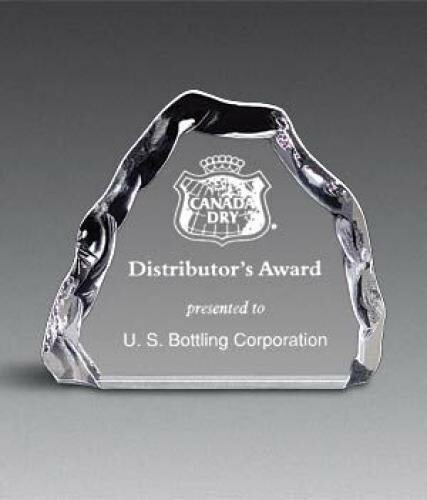 The Cherry USA Flag Economy Plaque has a USA Flag Brass Plate on a cherry finished plaque. The plate USA Flag has a grey scale finish. 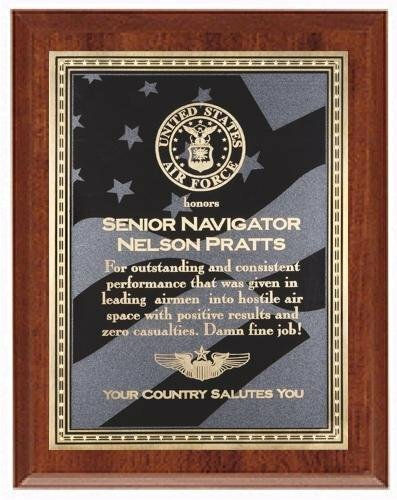 This award plaque is laser engraved. Your logo can usually be engraved on these wood plaques at no additional cost provided that vector artwork or a high quality black and white image is uploaded during checkout. The eagle fyling over the American flags is a true patriotic award. The eagle resin has an ebony base with a brushed gold laser engraved plate with black letters. The Ebony US Flag Plaque has a piano finished black plaque with a US Flag Brass Plate with Florentine star accented border.. This award plaque is laser engraved. Your logo can usually be engraved on these wood plaques at no additional cost provided that vector artwork or a high quality black and white image is uploaded during checkout. The Rosewood USA Flag Plaque has a Rosewood Piano Finished Plaque and a USA Flag Brass Plate with Florentine star accented border.. 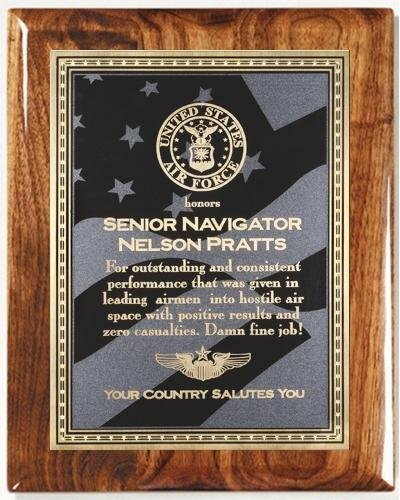 This award plaque is laser engraved. Your logo can usually be engraved on these wood plaques at no additional cost provided that vector artwork or a high quality black and white image is uploaded during checkout. This Traditional Walnut plaque has a US Flag Brass Plate with Florentine star accented border.. 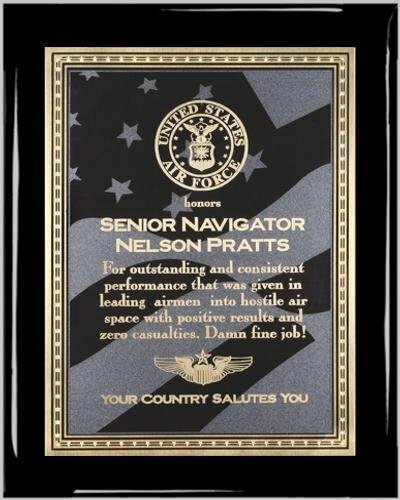 This award plaque is laser engraved. Your logo can usually be engraved on these wood plaques at no additional cost provided that vector artwork or a high quality black and white image is uploaded during checkout.